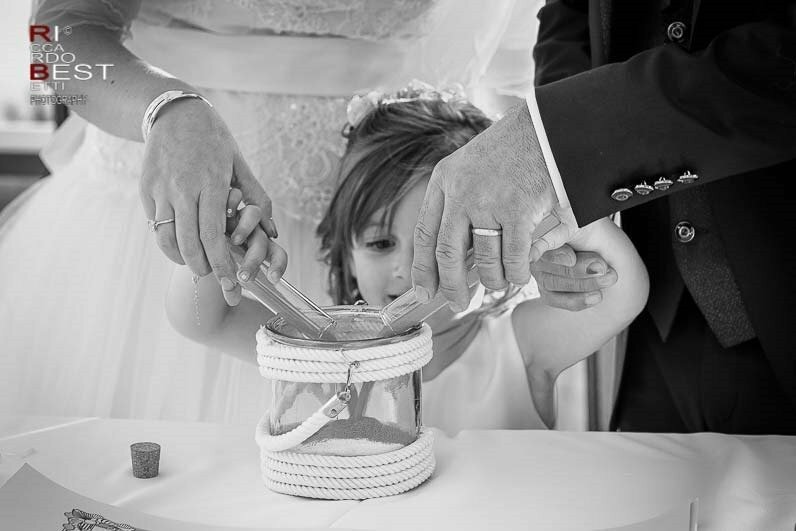 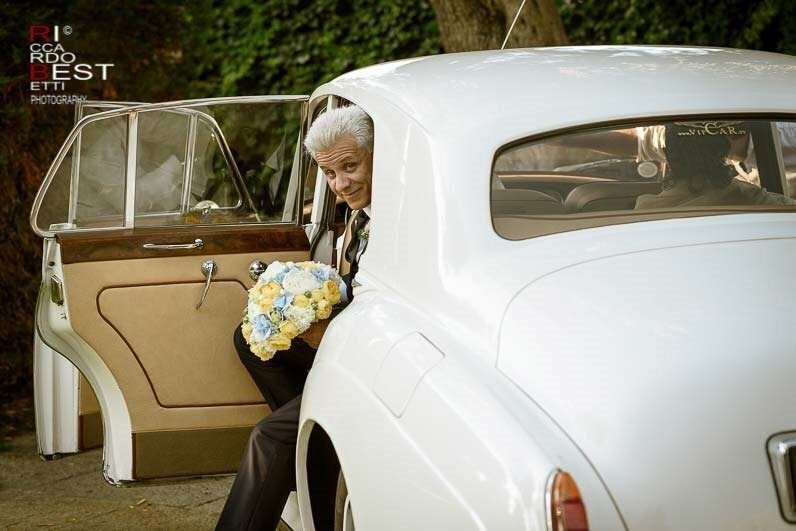 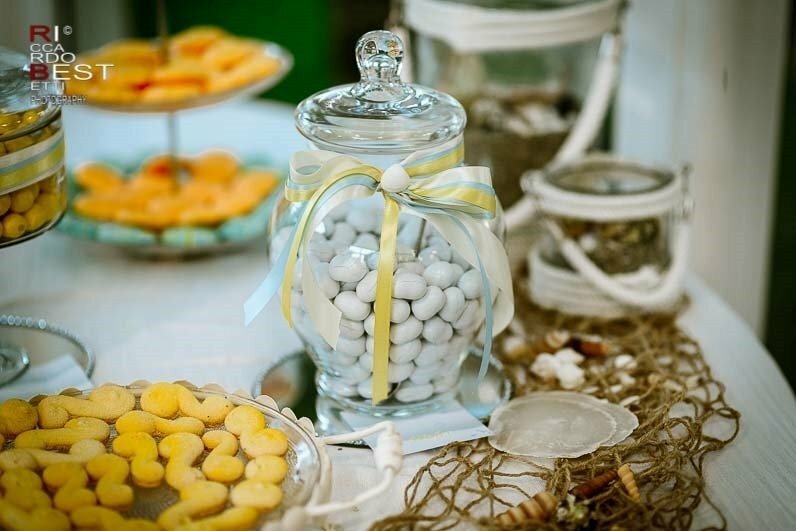 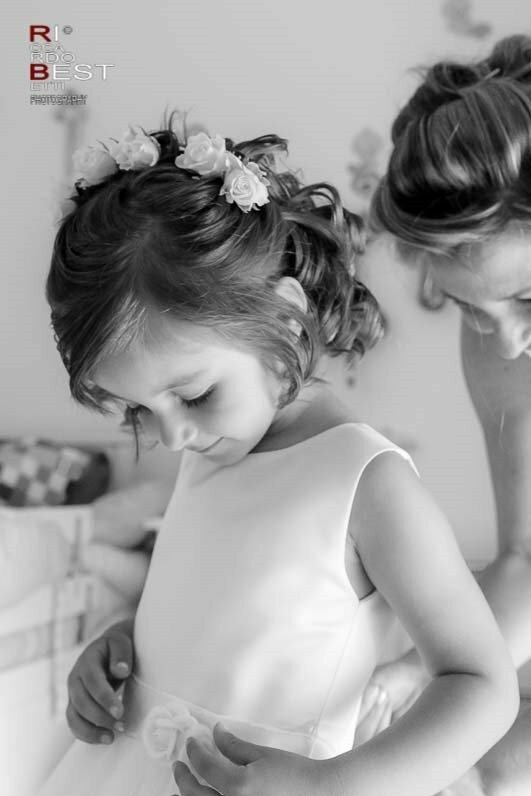 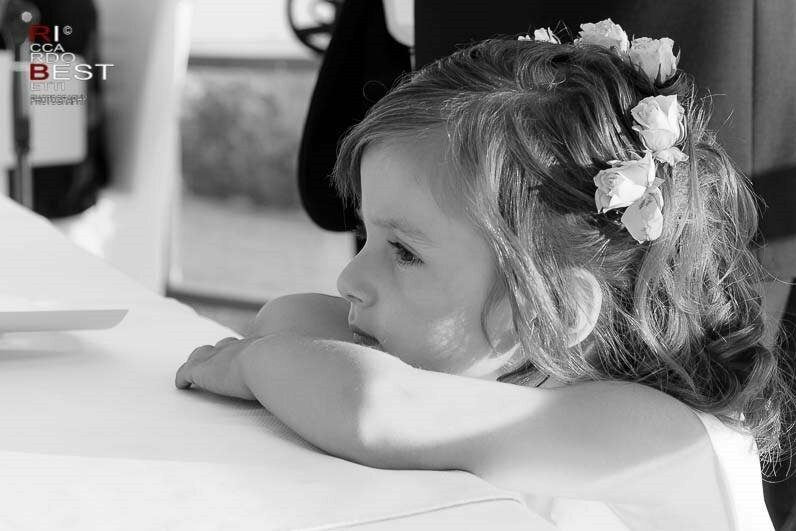 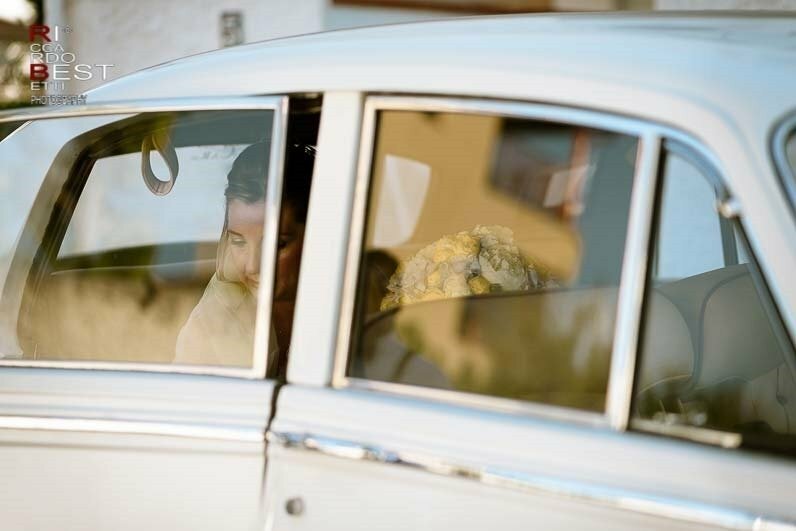 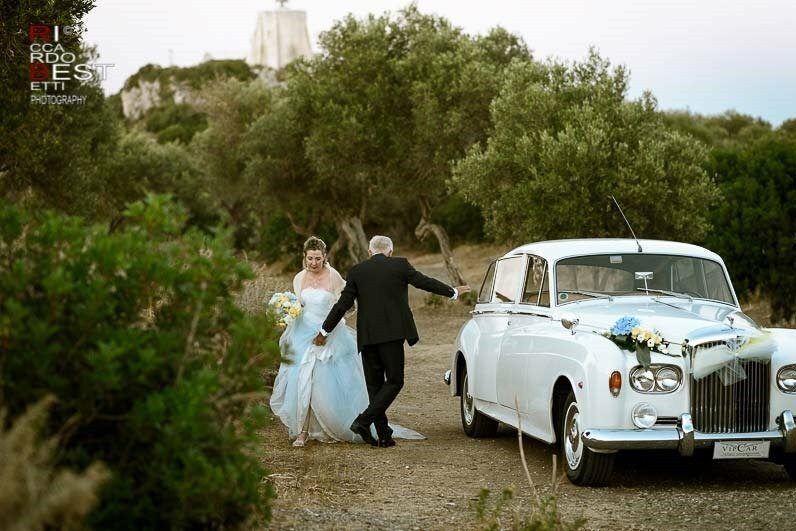 The colors, scents and traditions of Sicily meet in this marvelous maritime Italian wedding. 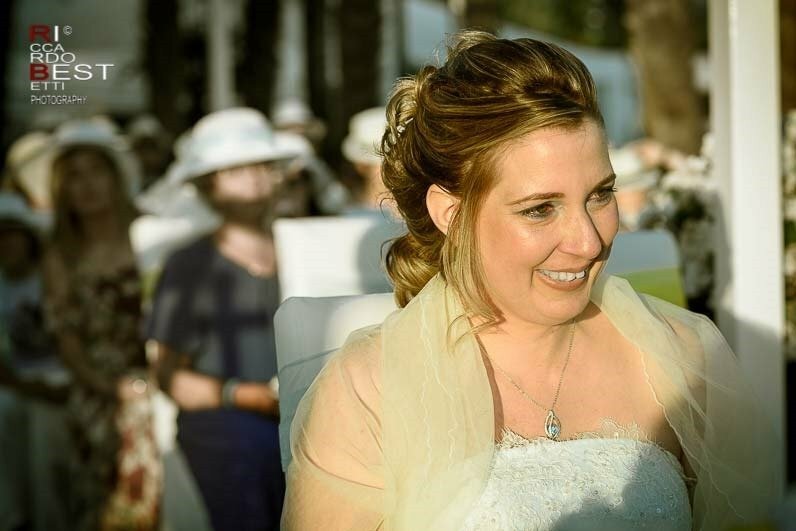 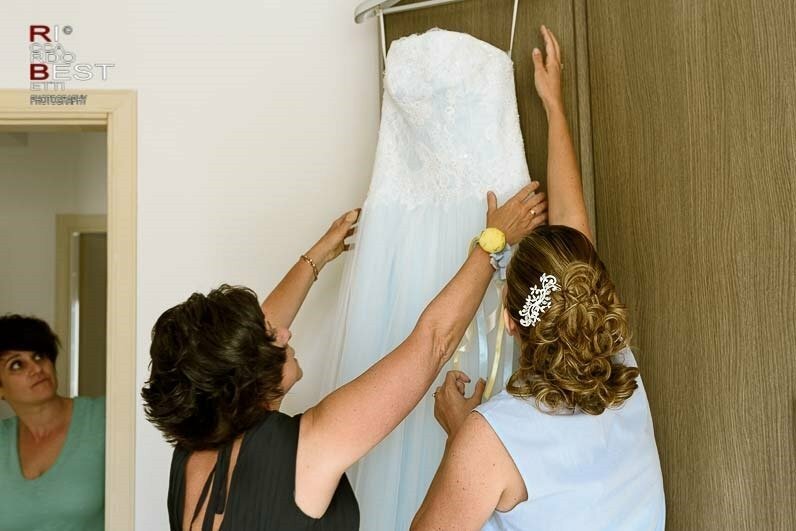 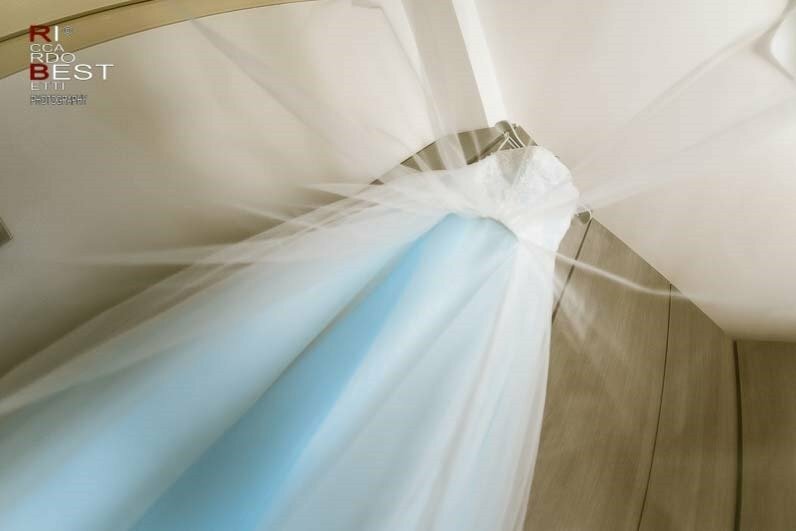 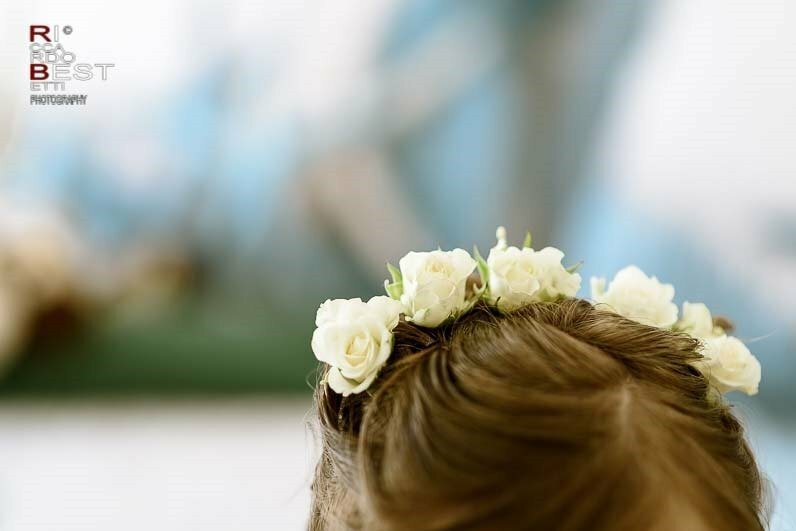 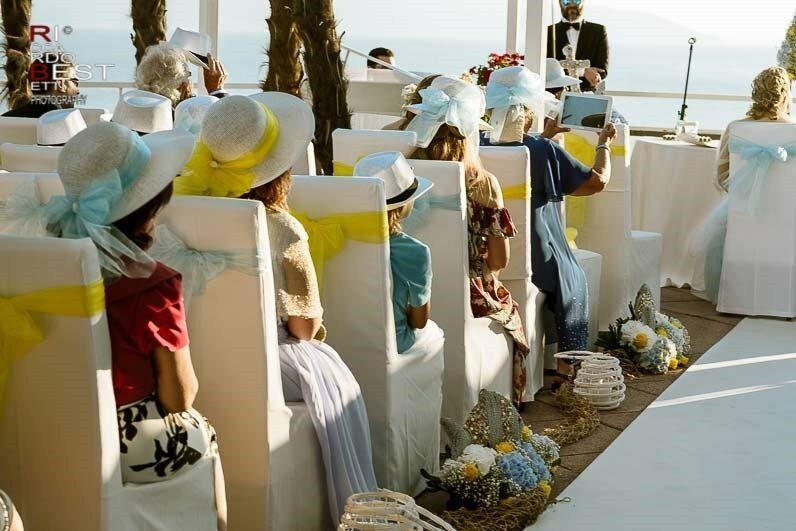 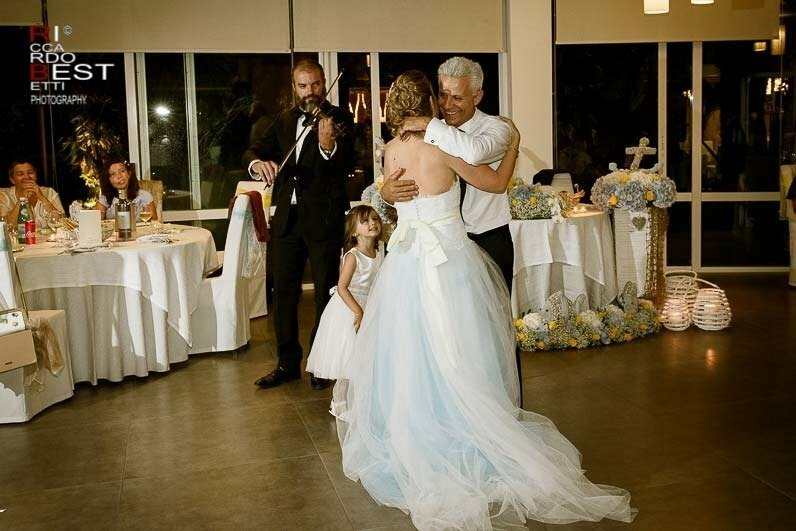 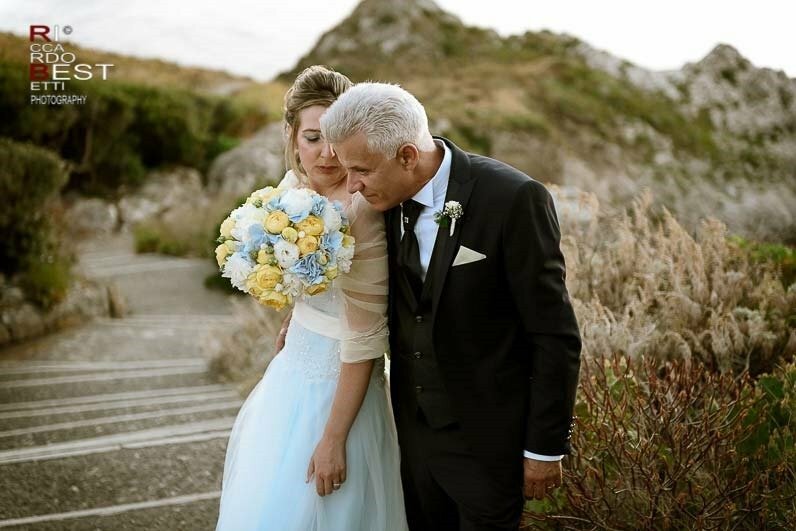 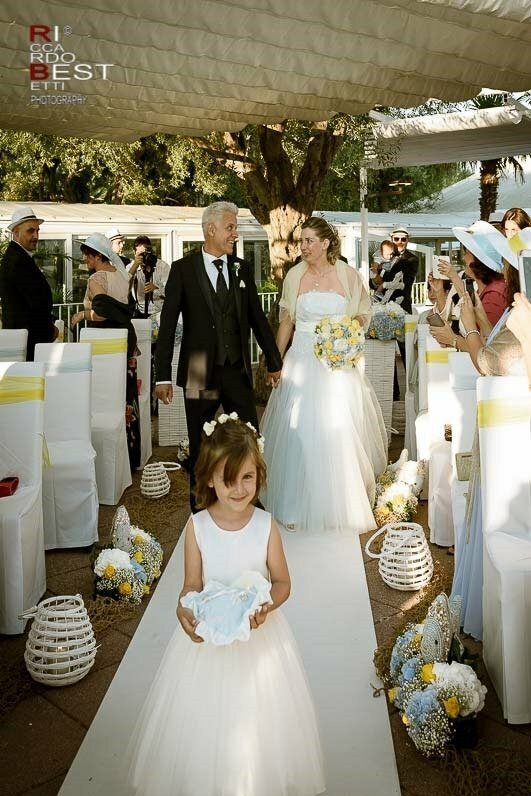 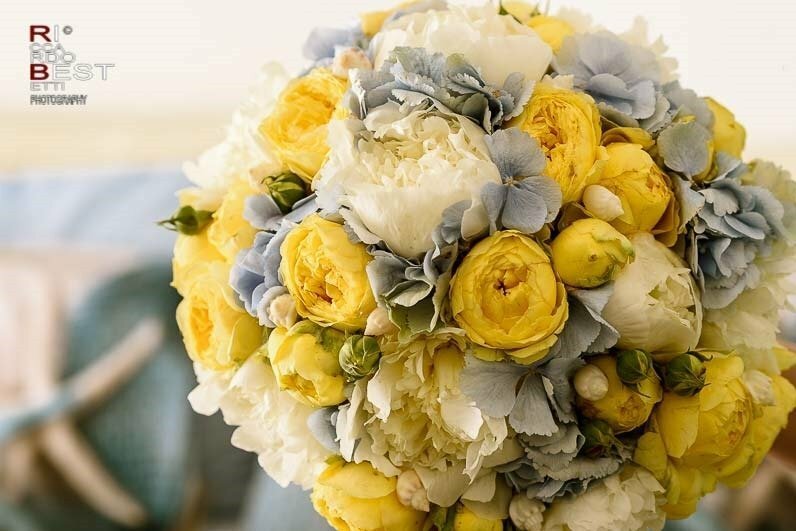 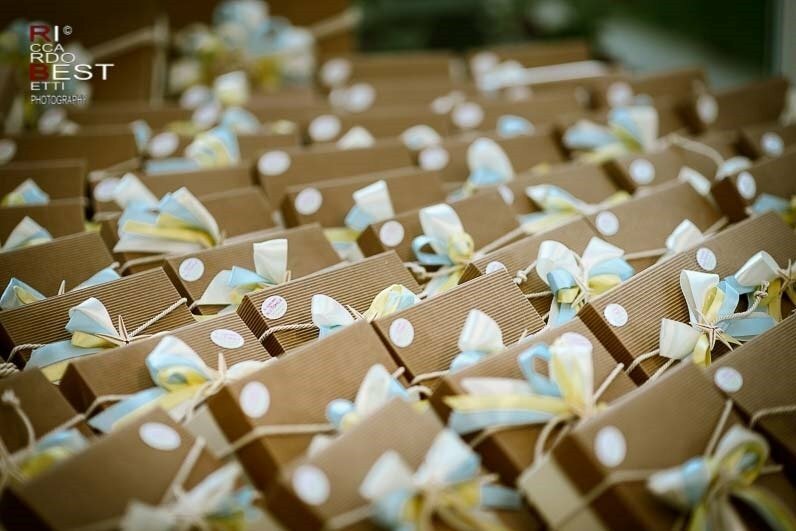 Laura chose an elegant wedding dress with lace ups and crystals of a delicate blue color and with some light yellow accessories, the two colors chosen as a bridal party. 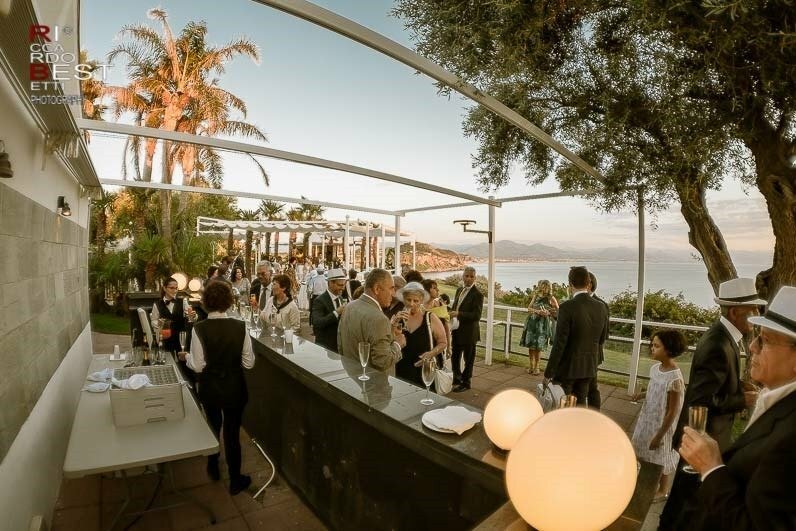 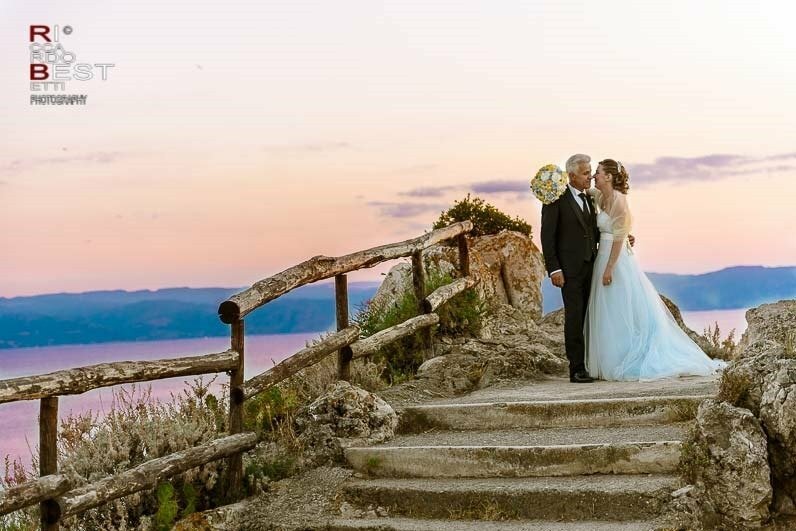 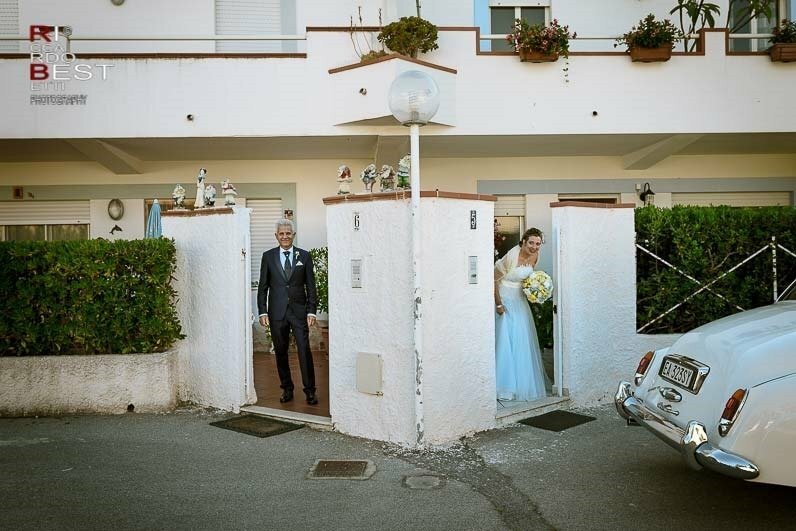 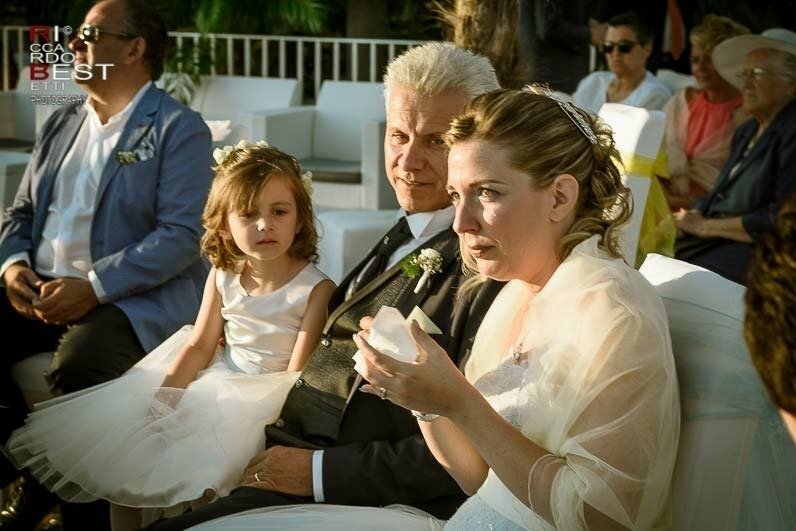 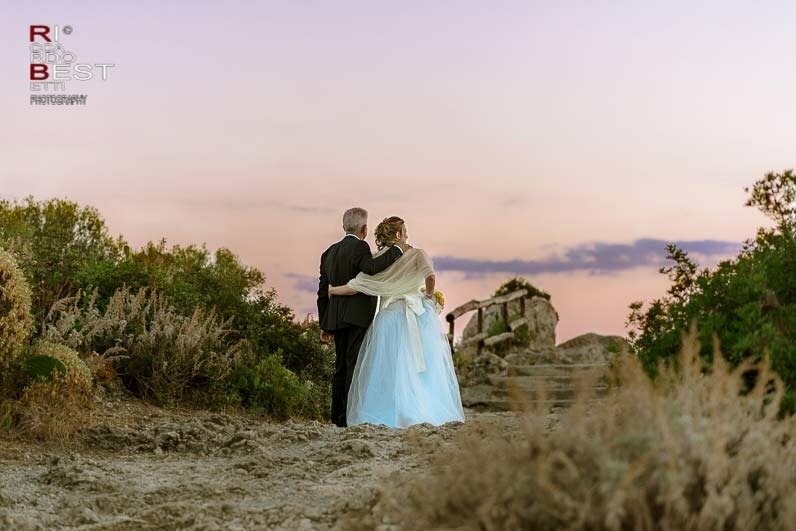 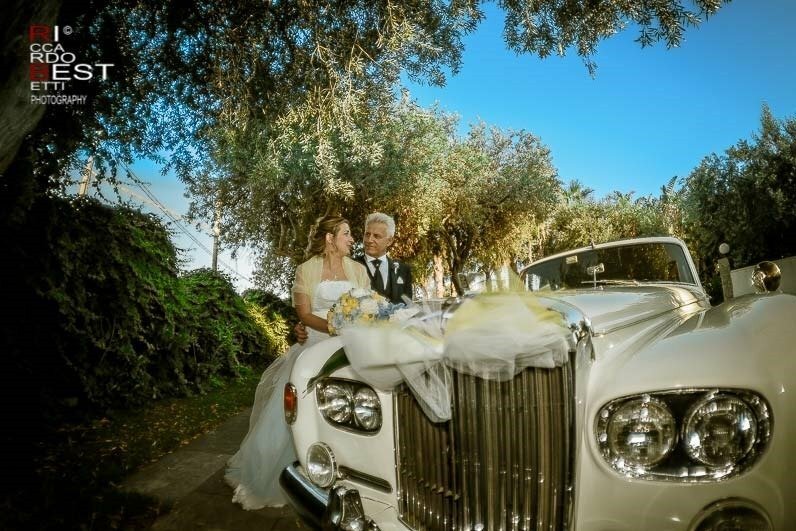 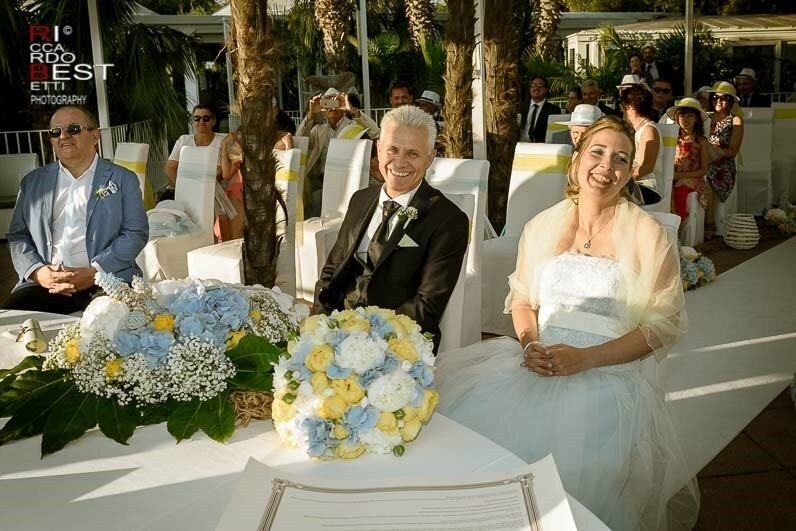 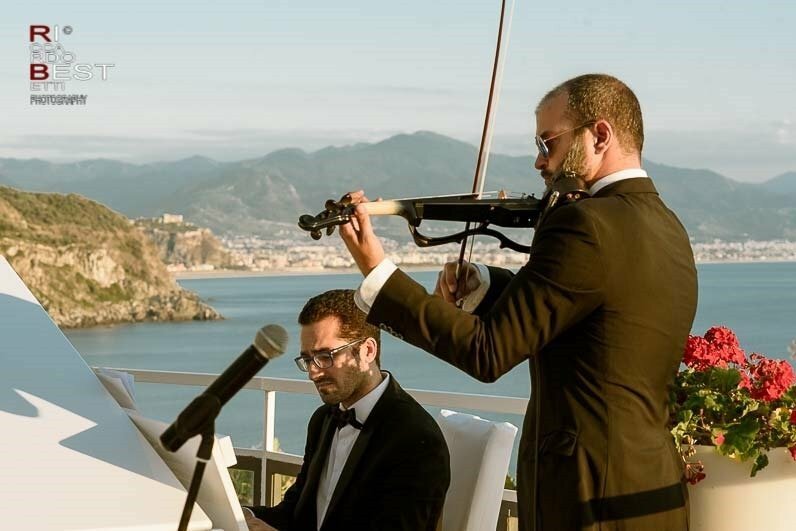 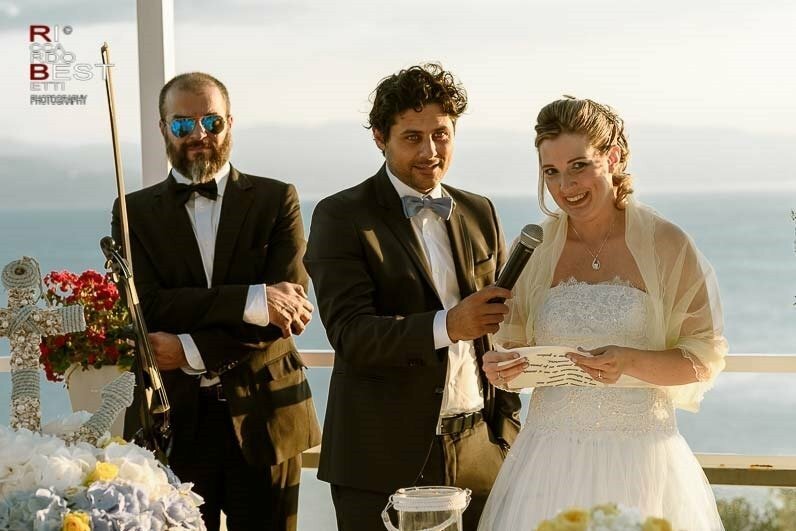 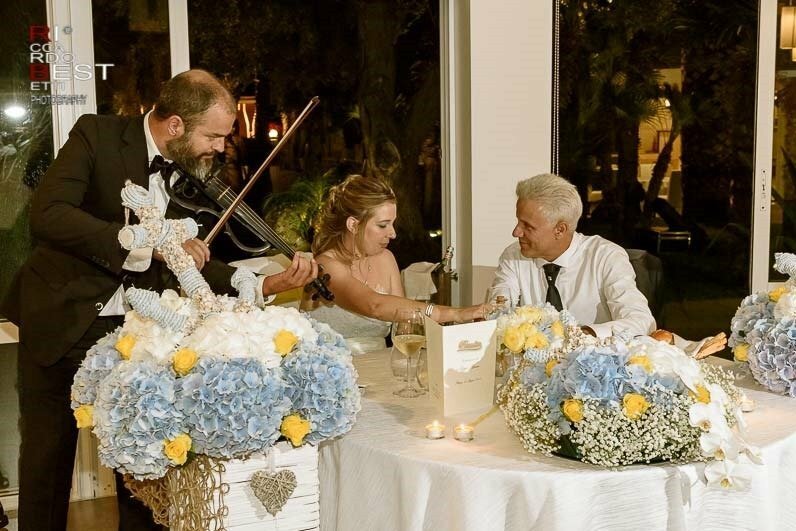 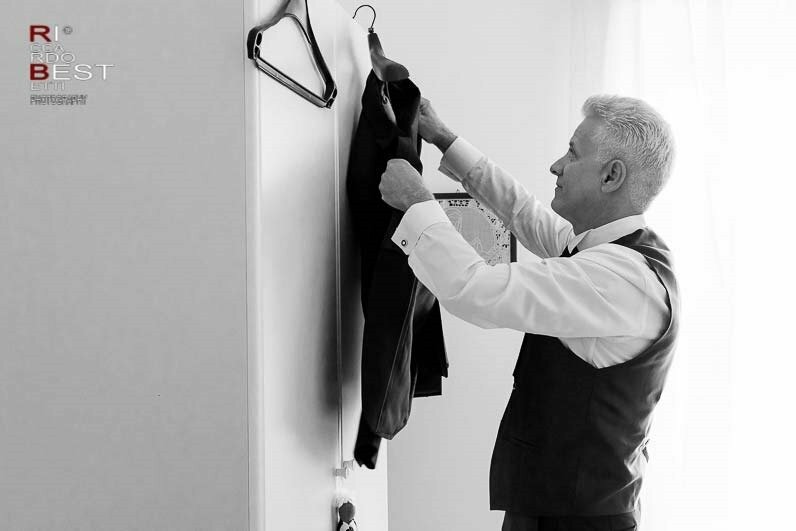 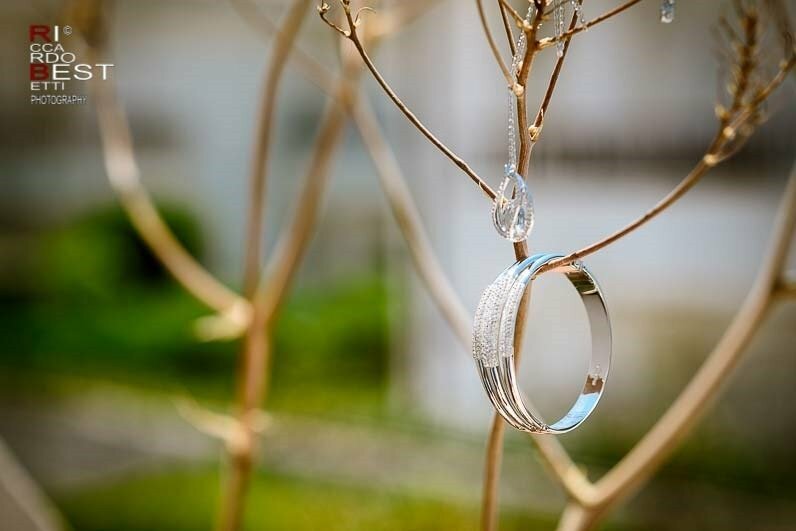 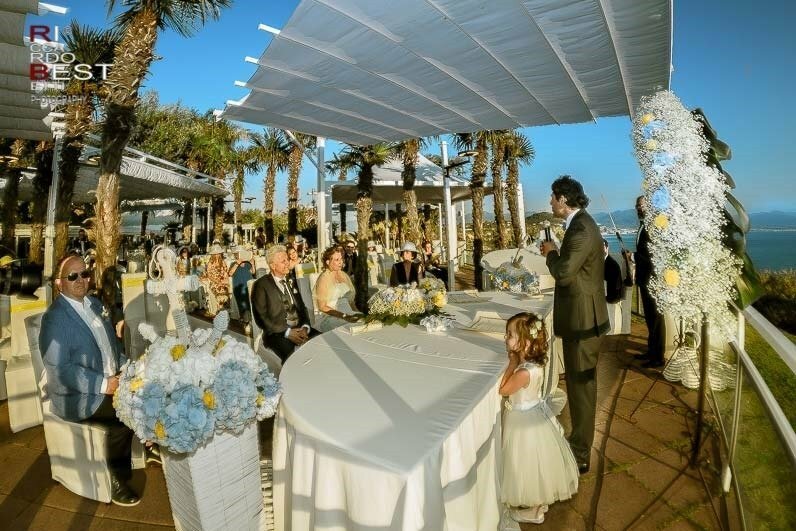 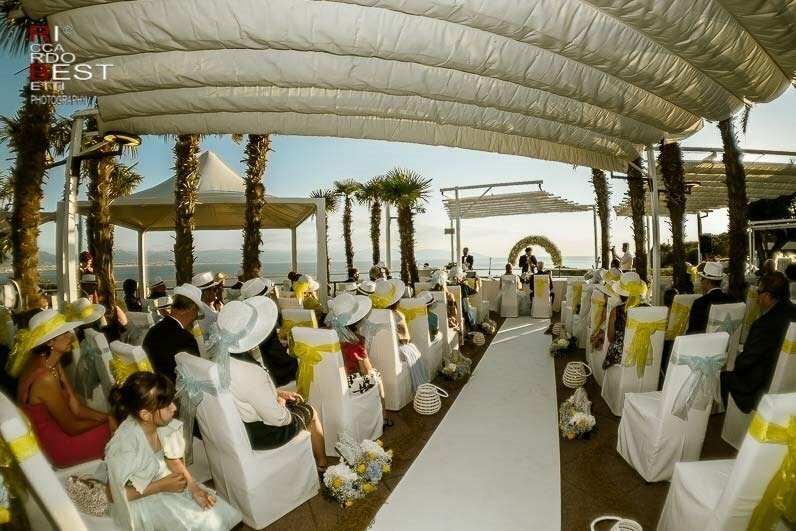 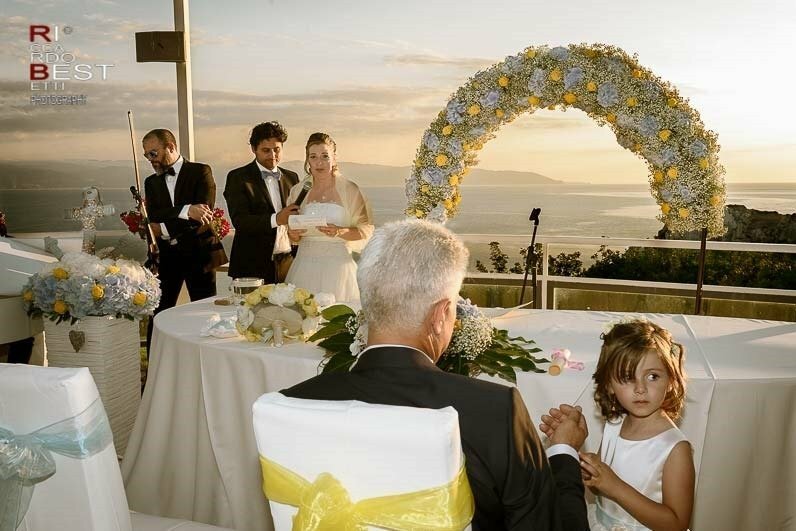 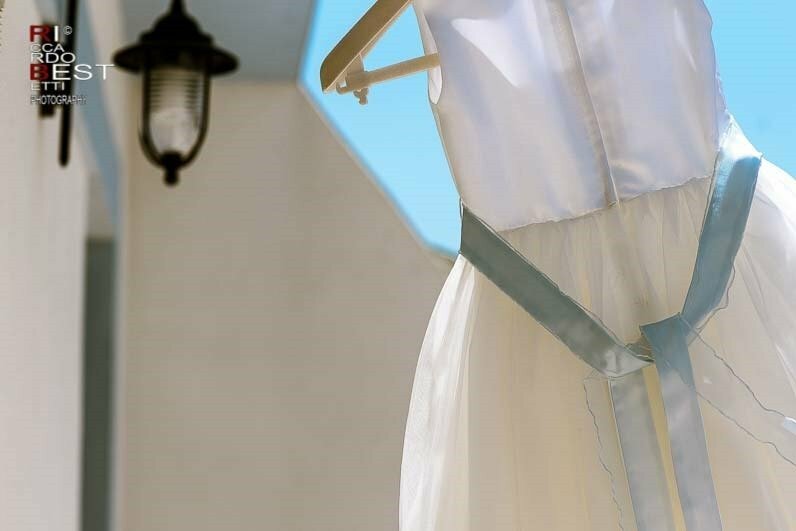 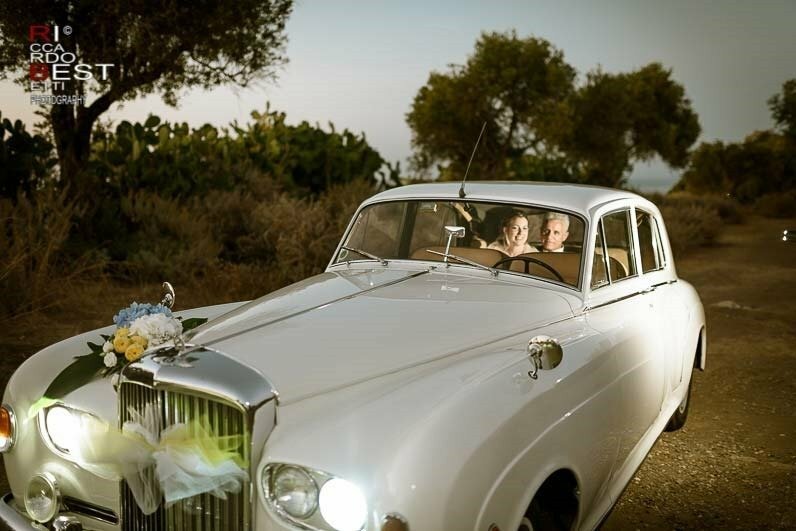 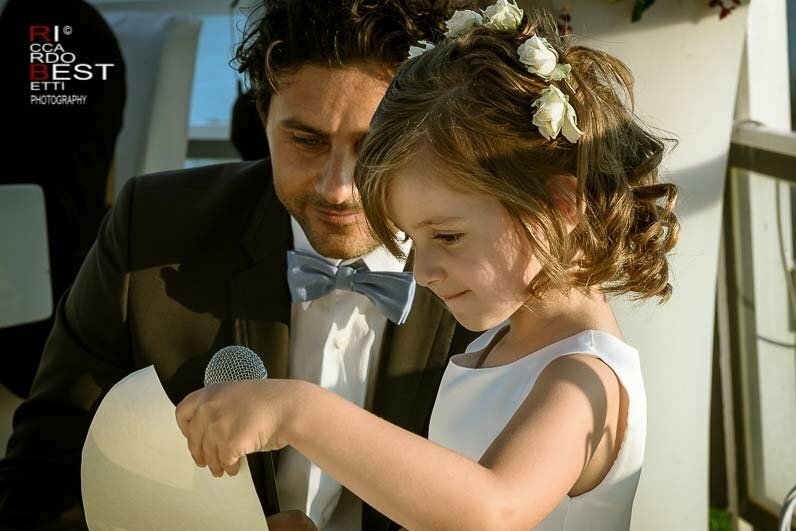 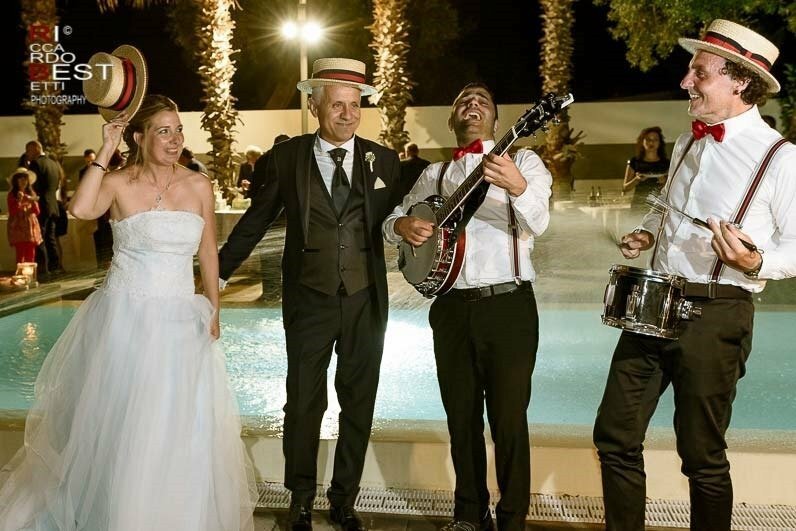 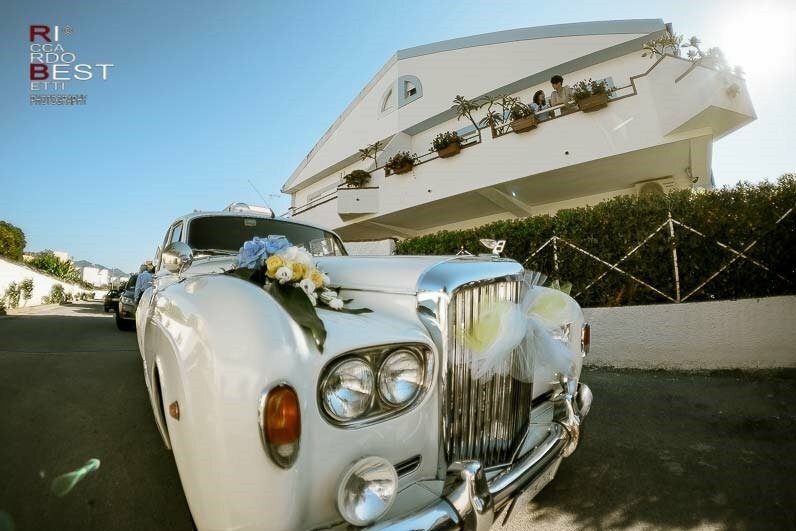 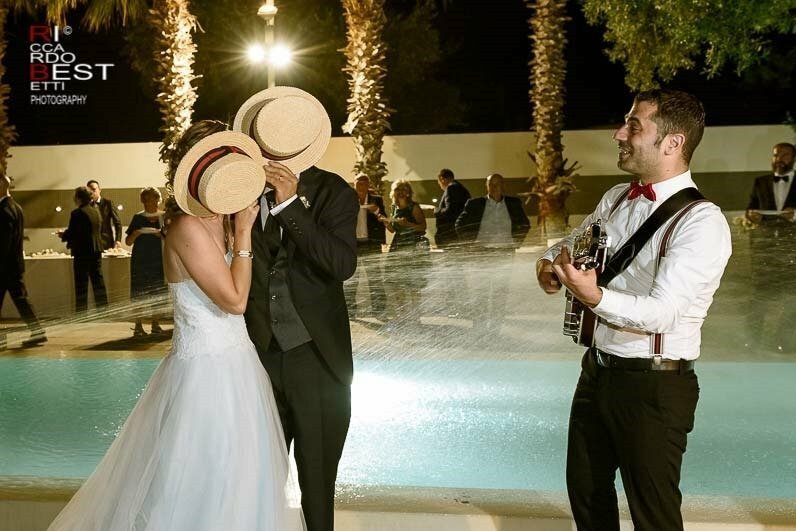 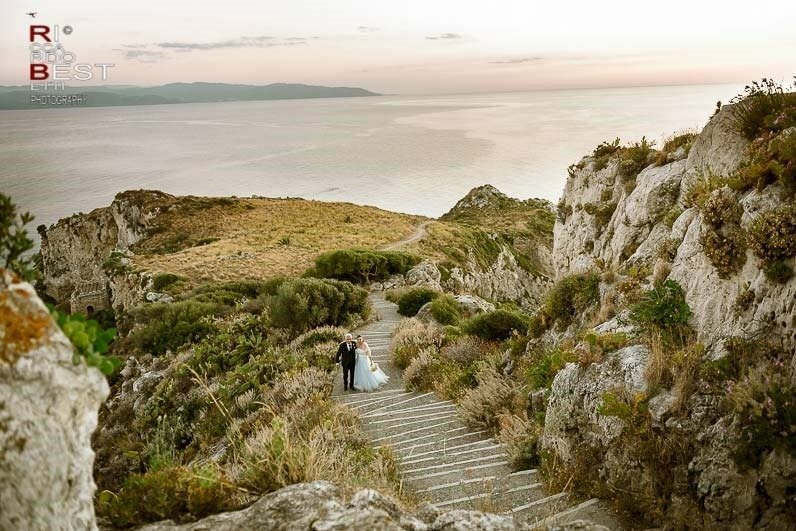 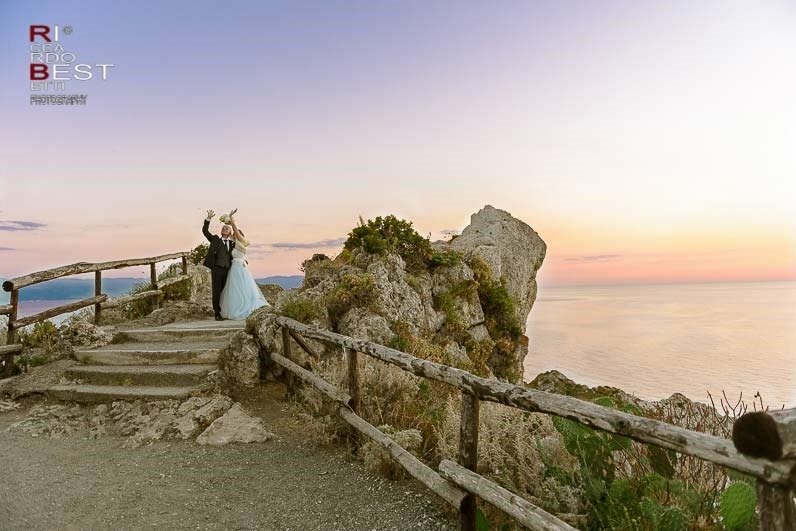 The exciting civil ceremony took place in the splendid panoramic terrace of Hotel Paradiso in Capo Milazzo, a place that still dominates the uncontaminated nature. 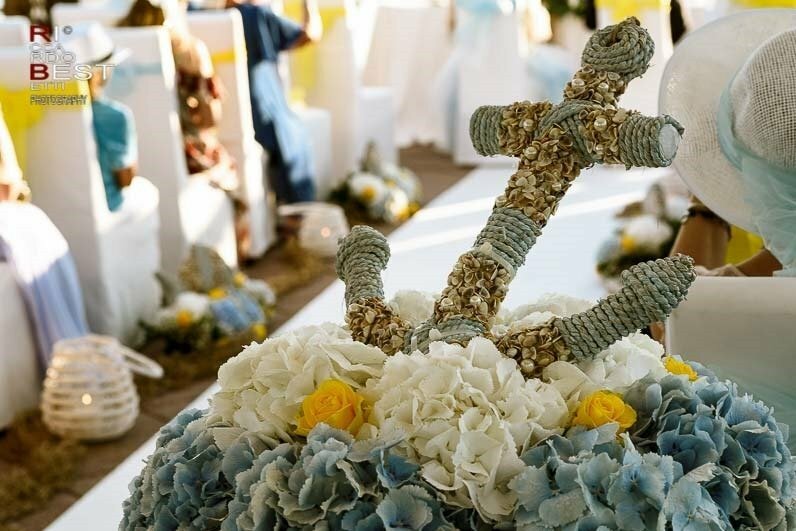 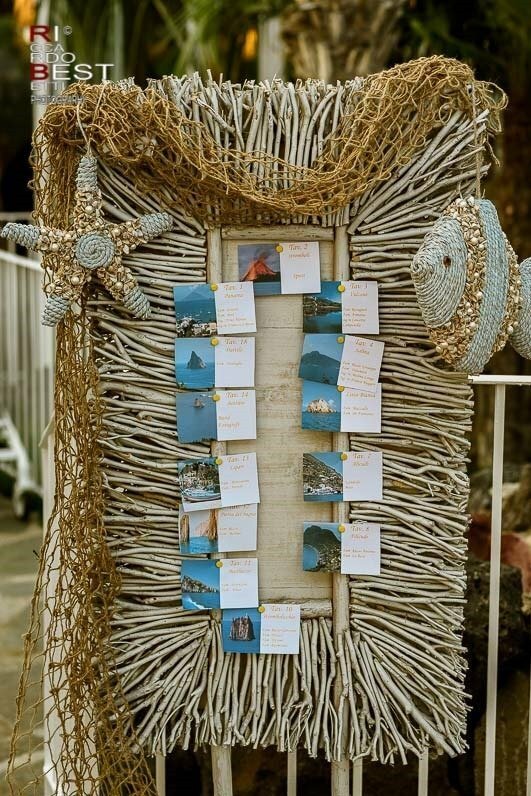 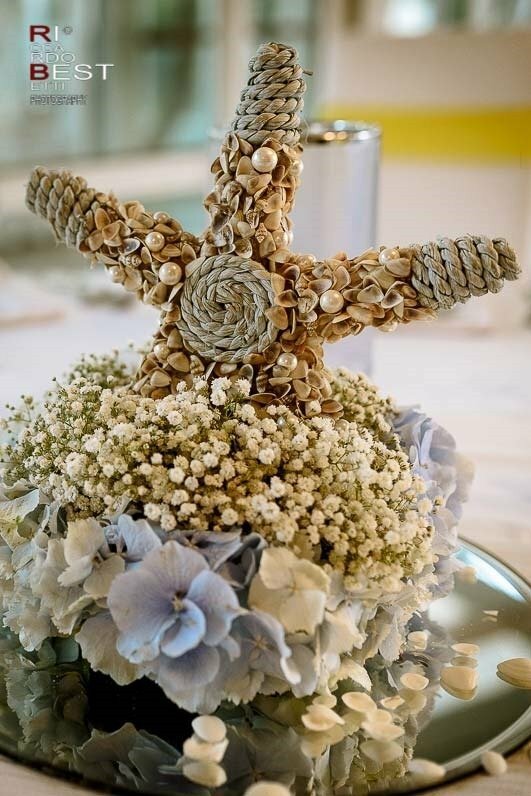 The beautiful floral decorations along with the fish and anchor that recalled the sea theme have made the environment even more unique. 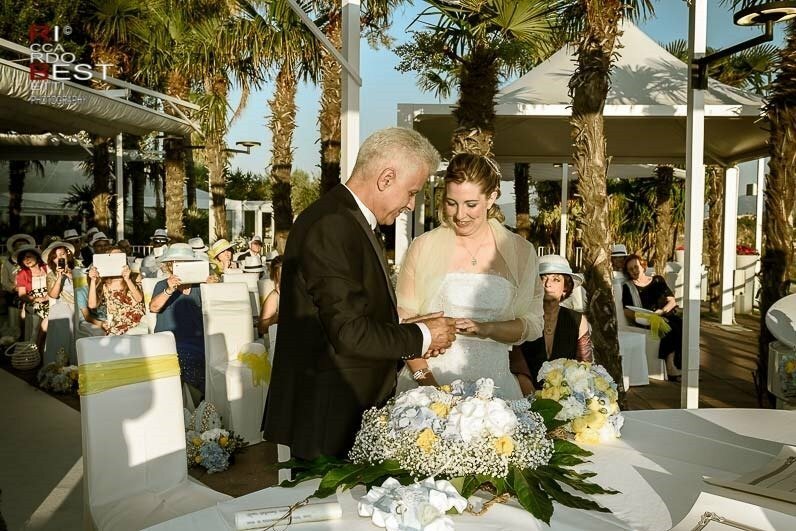 After the exchange of promises, the rite of sand ended the ceremony in a very romantic way. 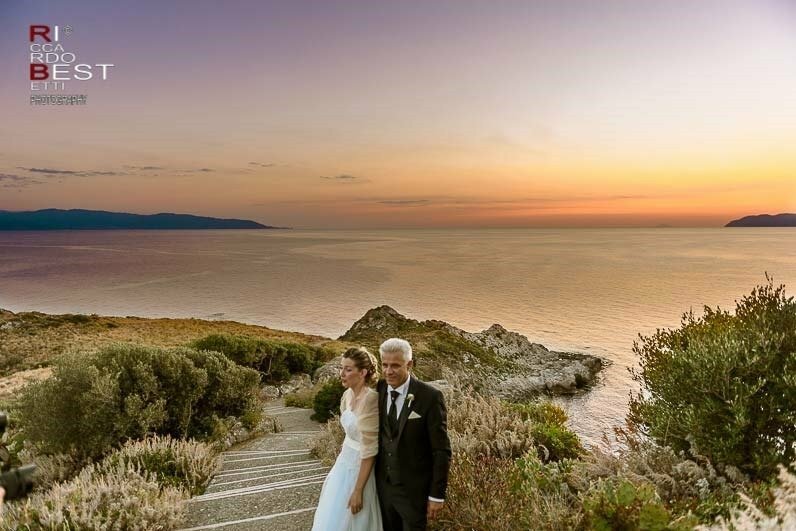 The belvedere on the bay of S. Antonio, the path between the olive trees and the staircase that winds through to the pond known as “Venere Pool” were the perfect background for photo shooting at sunset. 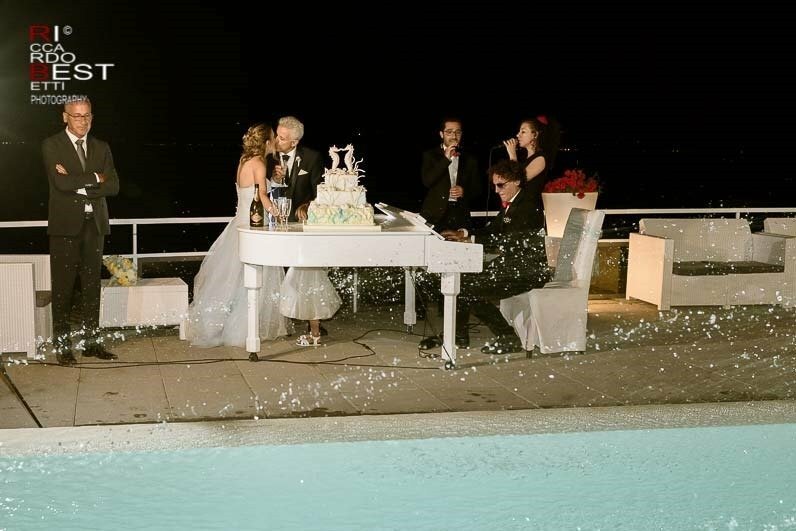 At the end of this magical and wonderful day the cut of the sumptuous wedding cake at the pool.